In “Bird Box” a mysterious force is killing off the majority of the population, and if you see this unknown force, you are shown your worst fears and you die by committing suicide. The movie jumps between two timelines, the past which occurs five years earlier, and the present. Bullock portrays a pregnant recluse artist, Malorie, who has absolutely no interest in her future child. Her world is turned upside down when her enthusiastic and overprotective sister Jessica (played by Sarah Paulson) is killed by the creatures responsible for the apocalypse. Malorie later seeks refuge in a mansion with other survivors of the apocalypse. At first I found myself disliking Malorie; for me, her cynical attitude was a bit of a hard pill to swallow. But as the story intensifies, I came to admire her strength and determination. She has the extreme responsibility of taking care of her child as well as the child of a different pregnant woman who committed suicide. 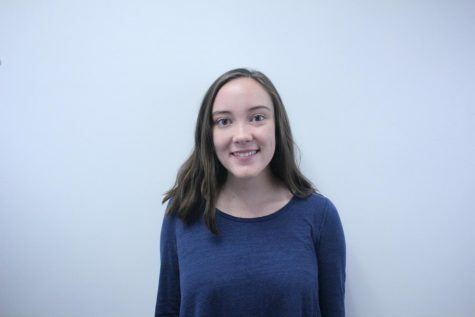 “Bird Box” implies that motherhood is not always automatically caring and soft; Malorie is harsh with the children, but her behavior has a purpose; she’s trying to keep them alive. When the movie returns to the present, viewers watch as Malorie struggles to row herself and the children down a river in order to escape to safety. 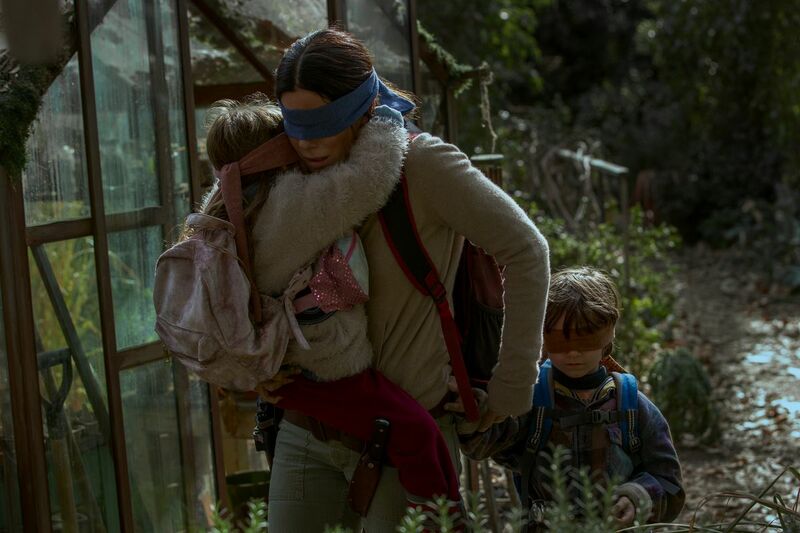 In order to prevent themselves from committing suicide, Malorie and the children wear blindfolds, and watchers of “Bird Box” find their view compromised as well. I found this exciting and frustrating at times; I was tired of being temporarily blinded, but I also felt as if I was in Malorie’s shoes, trying to avoid certain death. Bullock does a near perfect job with Malorie’s characterization. She’s been hardened by trauma, and her disconnection to emotion is skillfully portrayed throughout the movie. “Bird Box” offers a unique perspective on parenthood, survival, and fear.